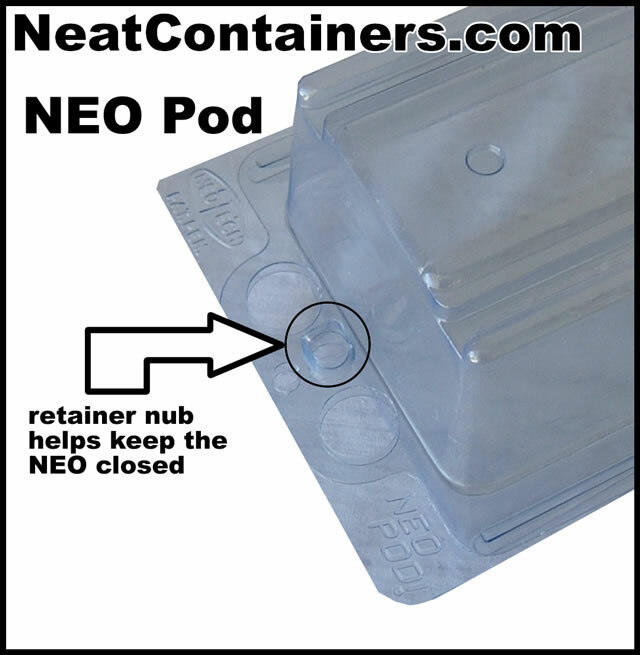 NEOPods are on backorder. Will will update this status as new information becomes available. 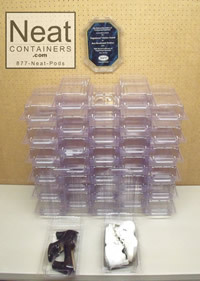 This kit includes 28pcs of the neat Neo pod. 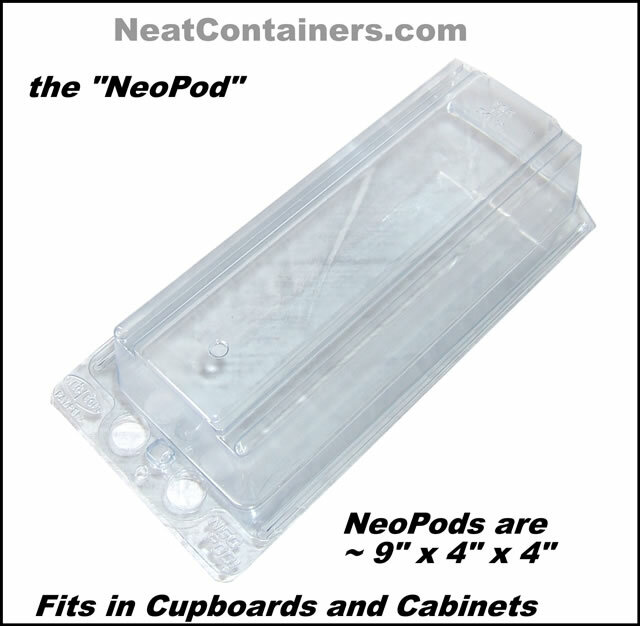 the NeoPOD is another neat container you will love. 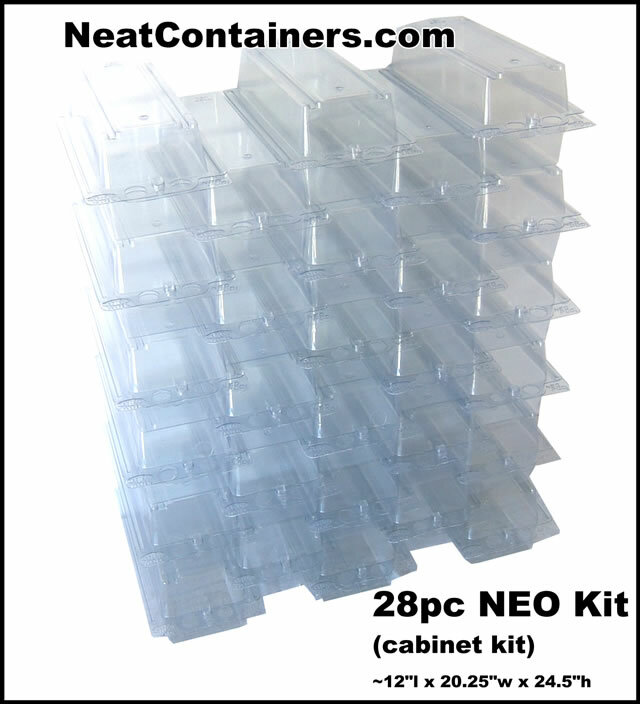 Sized a little smaller than our classic PODs, the NEO fits in most standard cabinets and cupboards making a neat and handy helper all over. 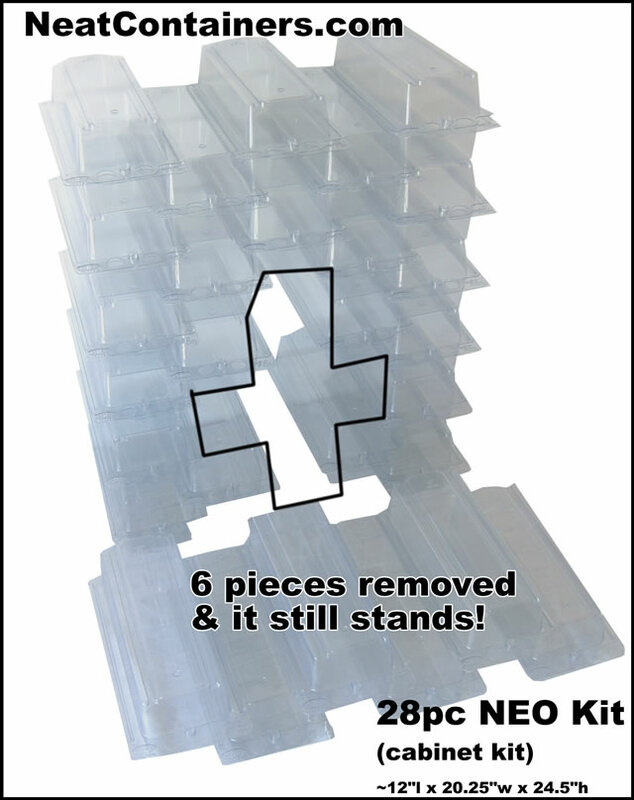 The NEO is, as expected, easy to stack and store with the same magic, drawer like features of our other items. Pull one away and the rest will stay. Works great in cabinets, cupboards and of course, standalone on a shelf. NOTE: NEOPods are NOT for shoes unless you have really small shoes. See our shoe kits which include the #1, #3 and #4 which are perfect for a variety of women's shoes. Men's shoes work best in the #4. Ron: Thanks for getting back to me. I just love these PODs and continue to find different locations in which they are of use to me. If you can throw in a few of the large sweater box size boxes I would greatly appreciate it. 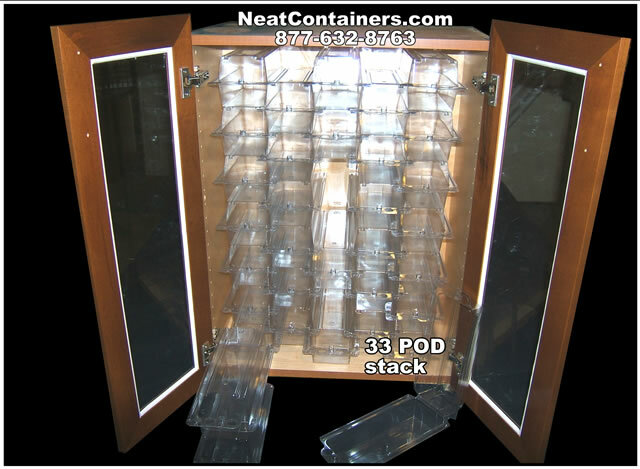 Having these pods have made such a difference in my organization of my clothes closets and garage closets --- just love them!!!!.. I cannot wait to try this system. Looks amazing. I hope to g ..